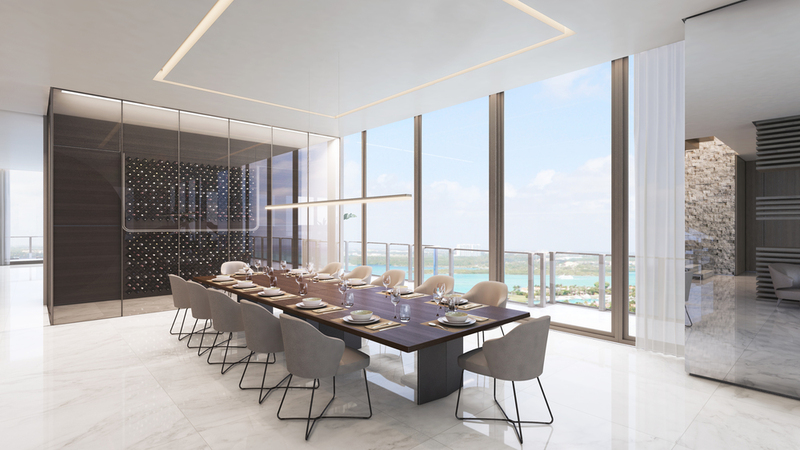 This 2-story unit features breathtaking floor-to-ceiling windows and extra-deep balconies, totaling an area of 19,321 total square feet (the residence has 9,371 sq. ft. and the terrace 9,950 sq. ft.). 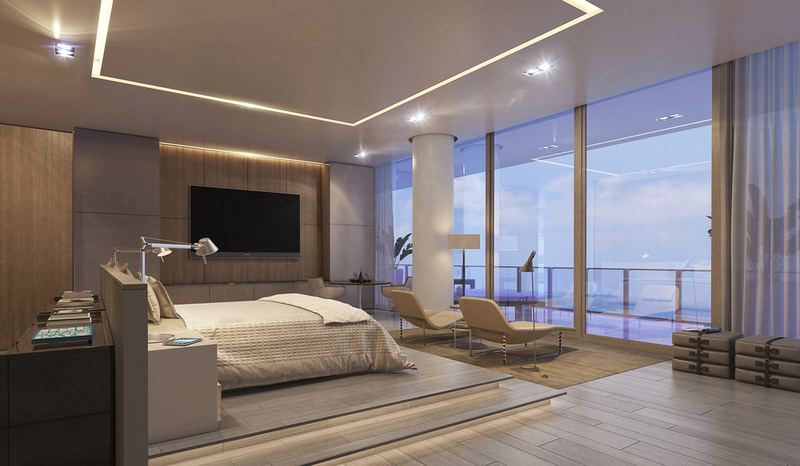 This penthouse has 4 bedrooms and 6.5 baths, plus a family room, studio, home theater, gym and private pool. 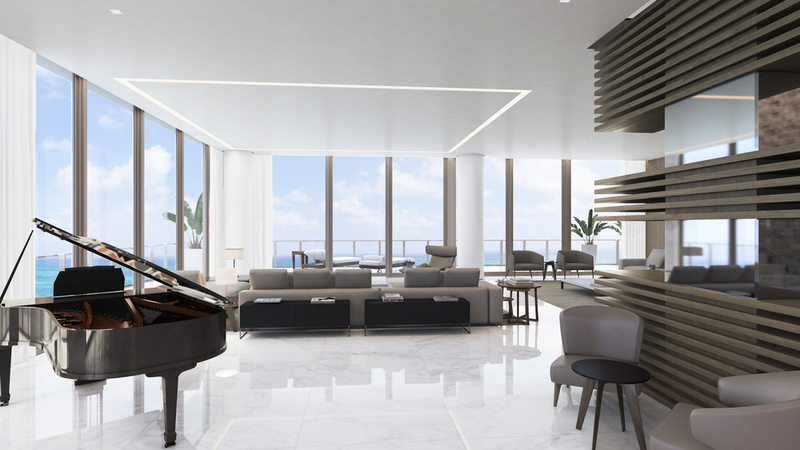 Oceana Bal Harbour is a luxury oceanfront condominium in the Bal Harbour area that will be completed in 2016. 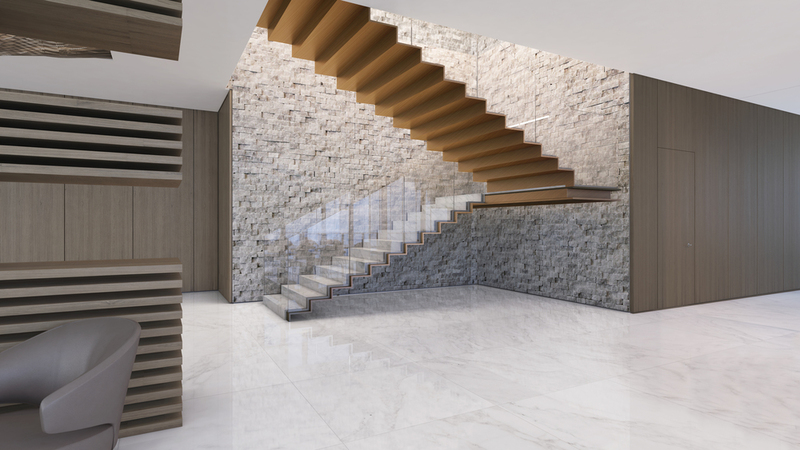 It integrates beautifully architecture, interior design, art and one of kind amenities that provide exceptional comfort. 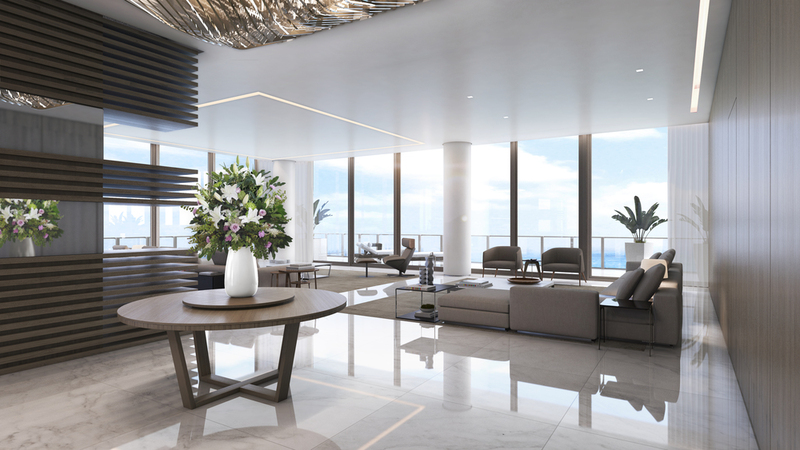 In addition, Oceana will feature the interior design work of Architect Pierre Yves Rochon, landscape designs of Architect Raymond Jungles and exclusive art work by American artist Jeff Koons with 2 sculptures “Pluto and Proserpina” and “Ballerina”. 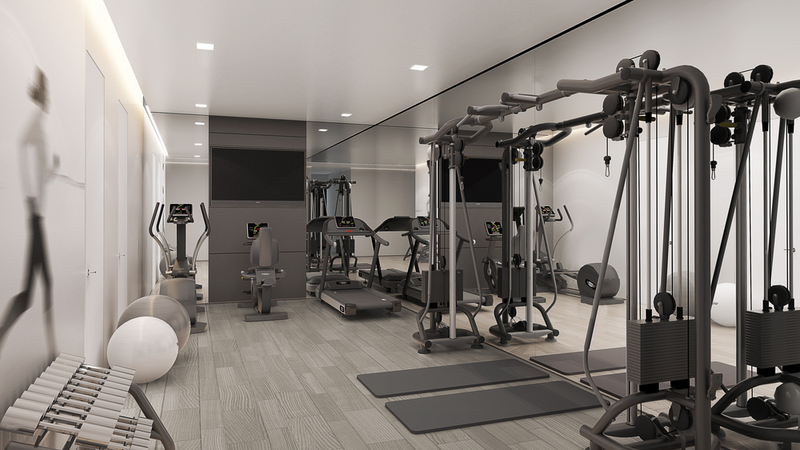 Oceana’s amenities includes a large beachfront pool, Olympic style pool, two outdoor Jacuzzis, private cabana’s, a state of the art gym, spa, private restaurant, outdoor beach grill, two tennis courts, putting green and 24/7 concierge services. 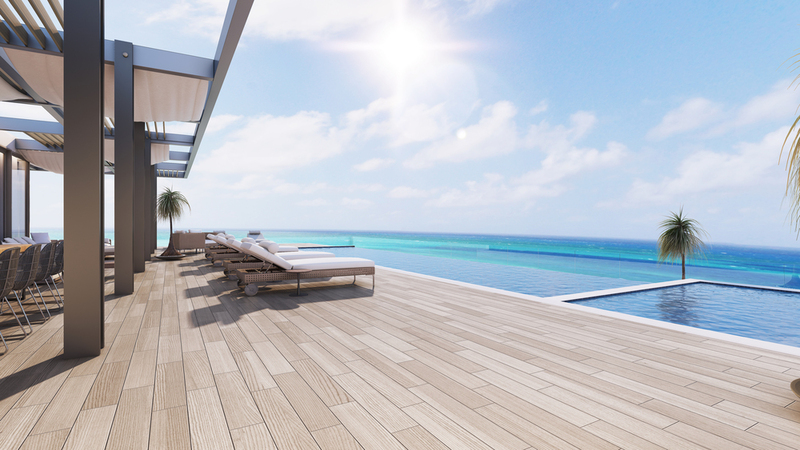 The glistening shores of Bal Harbour have long been one of the world’s most desired residential destinations. 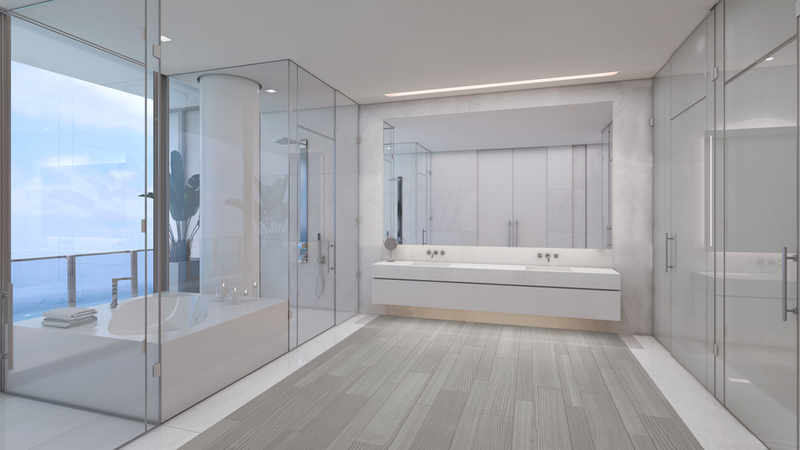 Now at Oceana, the exclusive Bal Harbour experience reaches its modern destiny.